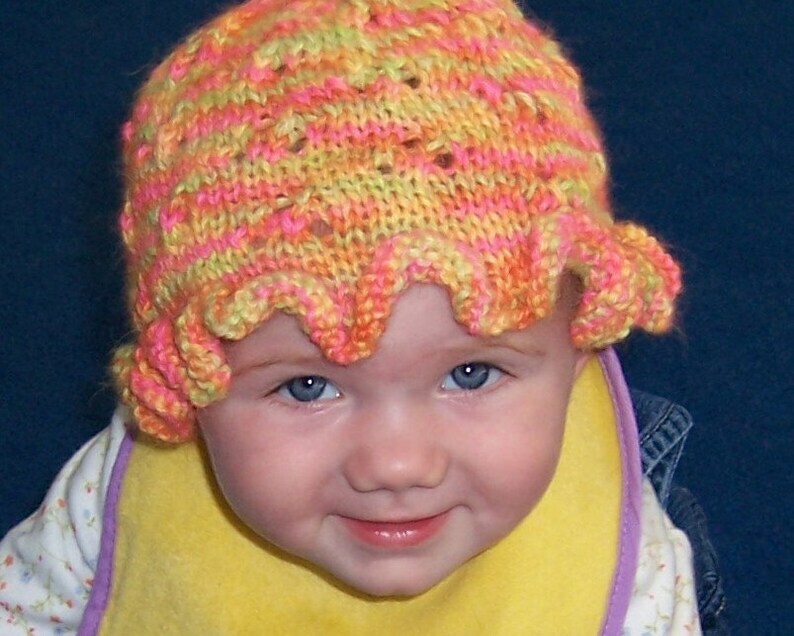 Knit a special baby gift using this easy knit-in-the-round pdf pattern. The hat size created using this pattern will be approx. 0 - 12 months. You are welcome to sell the finished product that you make using my pattern. Techniques used are K, YO, and K2tog. I used a size US6, 16-inch circular needle, switching to double-point needles for finishing the crown, and one ball of DK-weight (110 yards per 50g) 100% alpaca yarn.